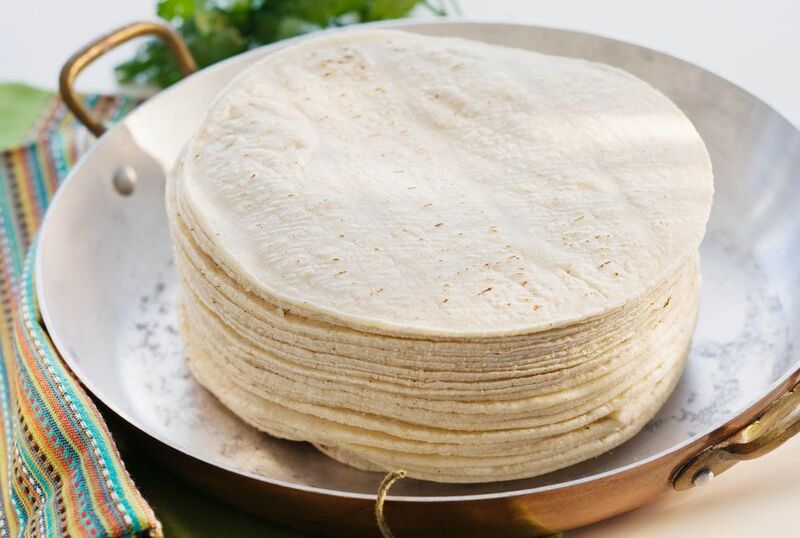 Make these tortillas fresh yourself and taste the difference! These homemade tortillas are flour, not corn like some Mexican recipes call for. With a pastry blender or back of a fork, blend flour, baking powder, salt, and shortening, until it resembles coarse meal. When well combined, slowly add water until soft dough forms. Add additional warm water as necessary. Separate into 12 portions for small tortillas and 6 portions for large tortillas. Heat a comal or griddle over medium heat. Roll each ball of dough out into a round shape, approx. 1/8 inch thick. Place each raw tortilla on the hot comal and cook on each side for about 1 minute. If it puffs up at all, you can poke a hole in the puffed area to release the steam. Cook it until it is no longer doughy. Remove from the comal and place onto a plate covered with a towel. Use the edges of the towel to pull over the tortillas as you cook them, to keep them warm.